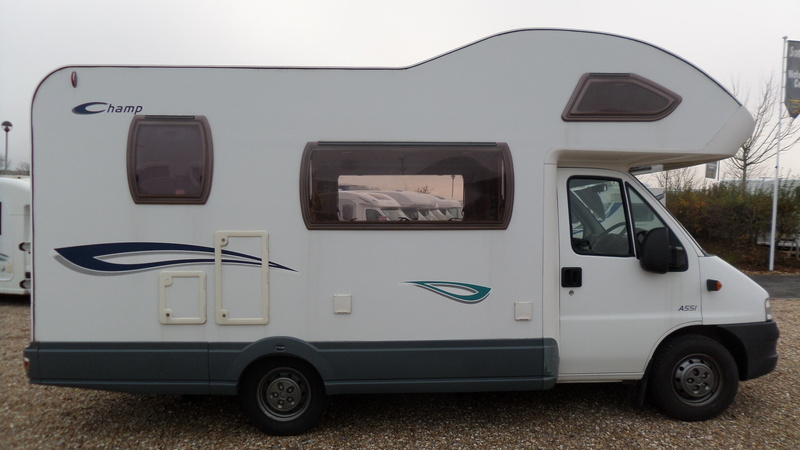 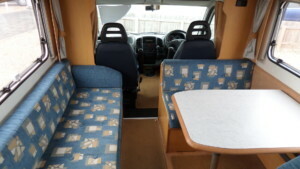 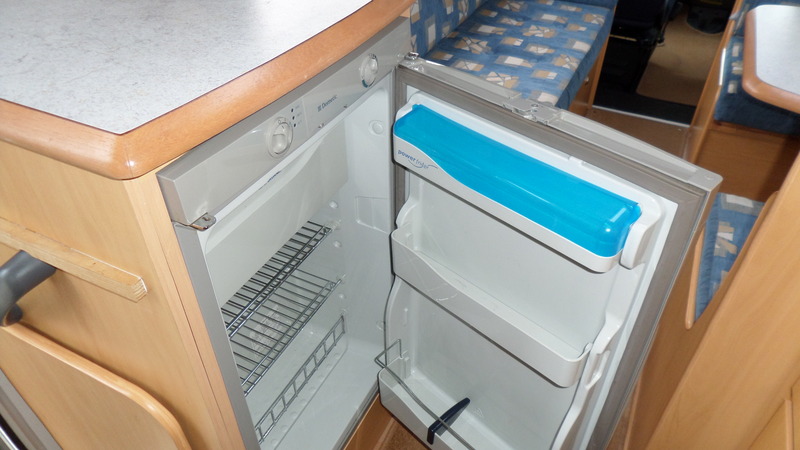 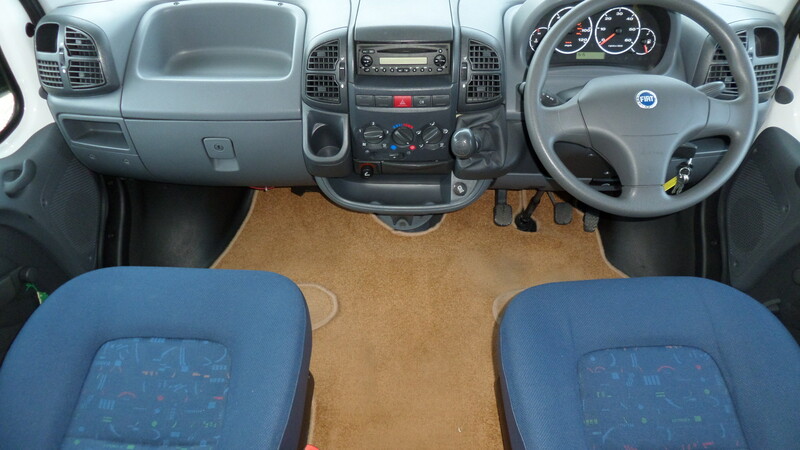 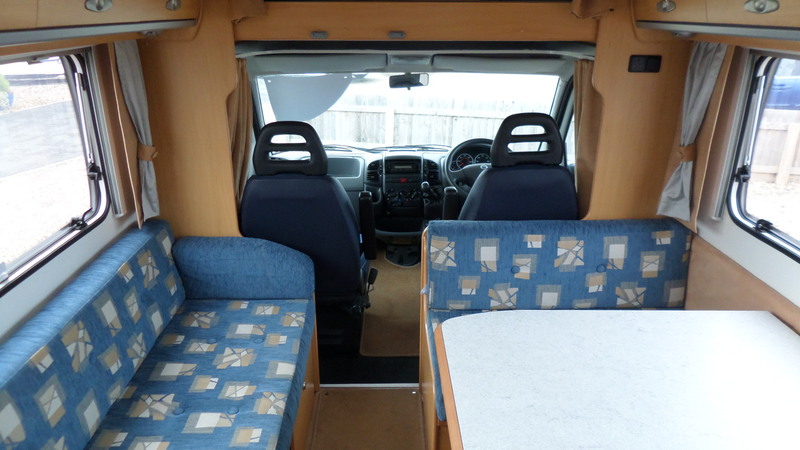 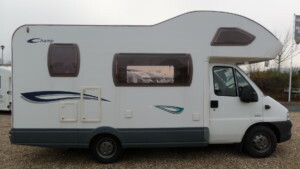 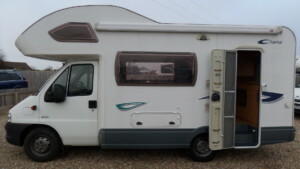 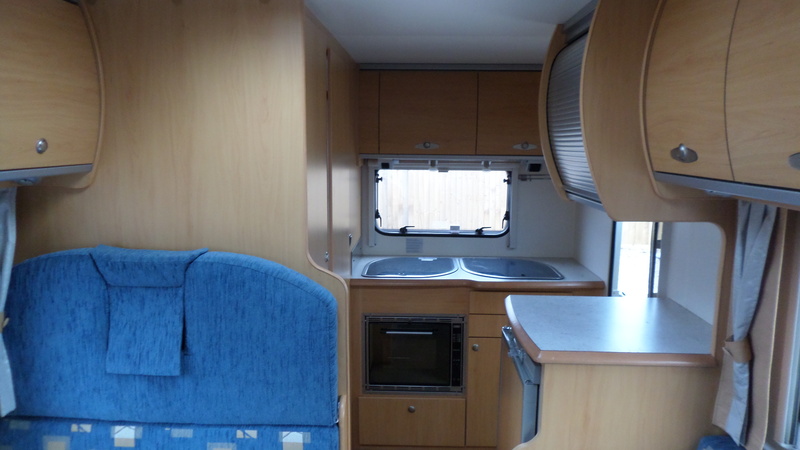 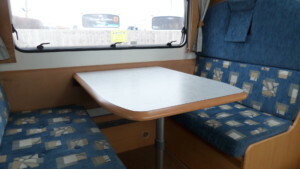 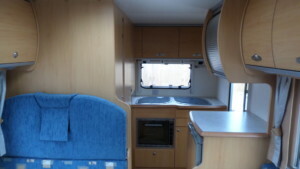 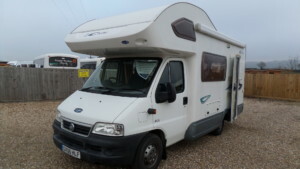 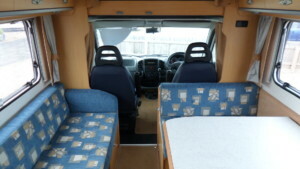 A nice condition 5 berth family model with the classic end kitchen layout. 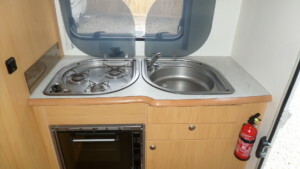 Practical is how you would describe the kitchen with a 3 burner gas hob, combination oven/grill and large fridge. 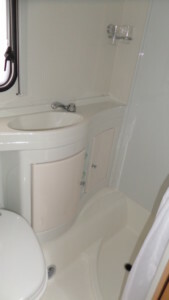 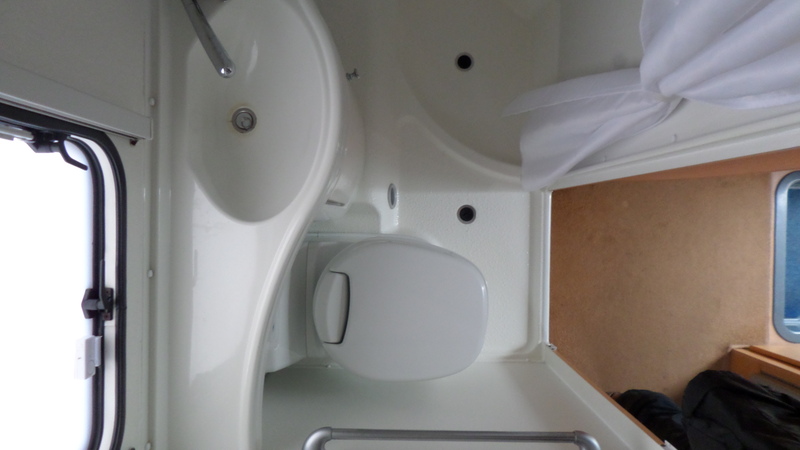 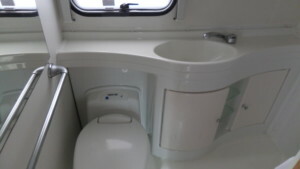 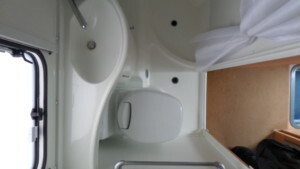 The corner washroom is surprisingly spacious with a separate shower area, vanity sink and toilet. A large forward lounge area consists of 1 long side bench seat and opposite a double dinette comes with 2 forward facing belted seats. A comfortable area during the day to relax and read a book, when the evening arrives it quickly converts into a huge double bed. (This layout can also be ready made with a long single bed and double). 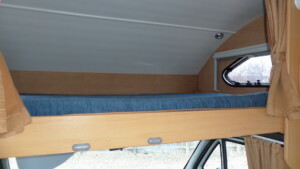 Should the children or grandchildren wish to join you on your travels this is not a problem with yet another huge double bed above the over head cab which completes the sleeping arrangements. 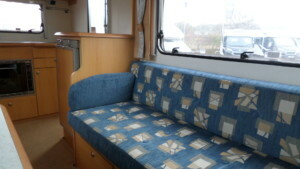 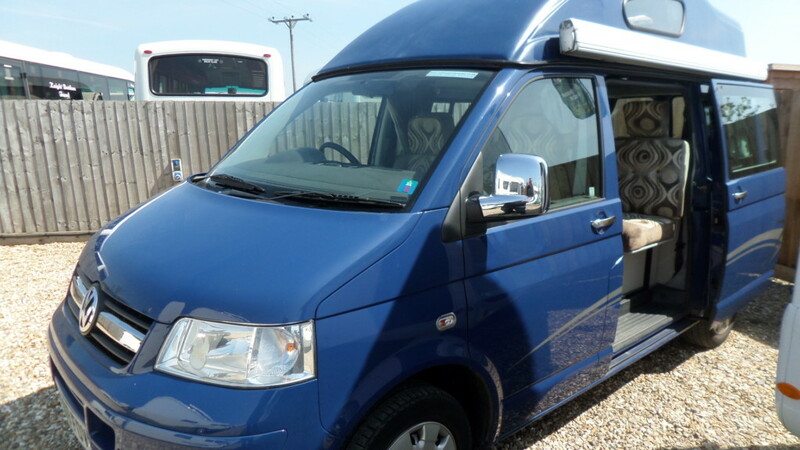 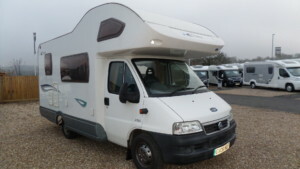 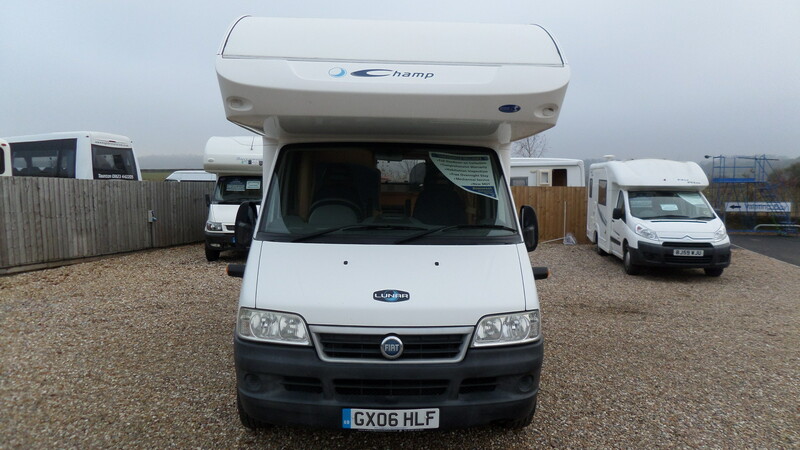 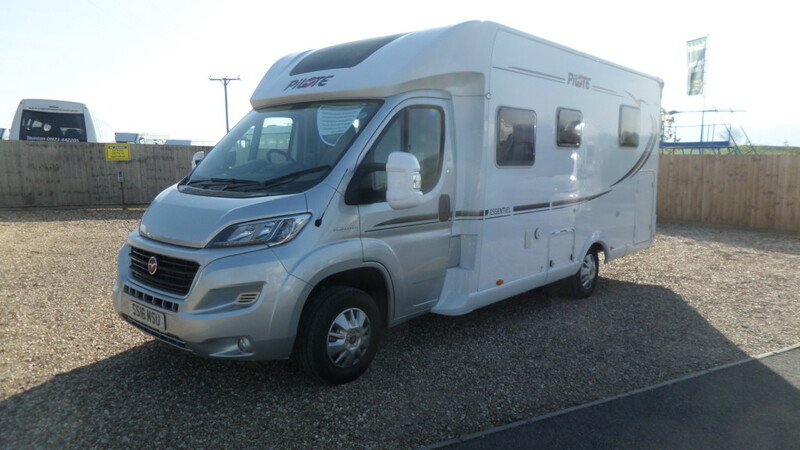 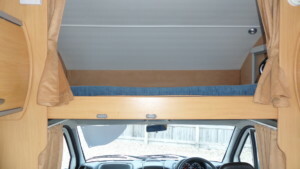 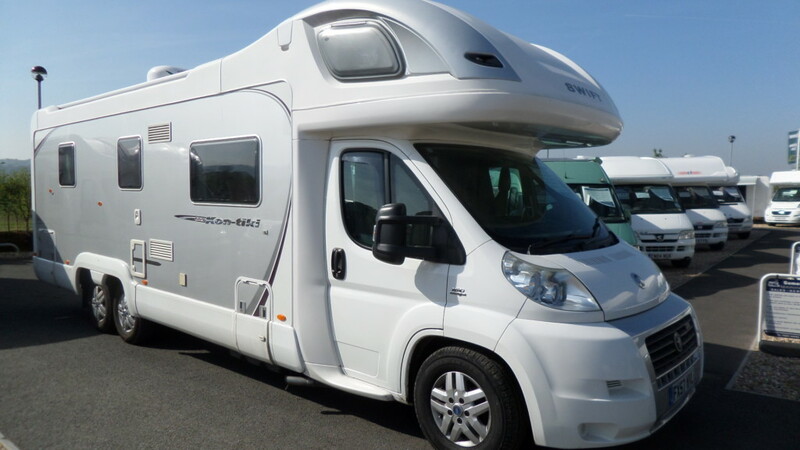 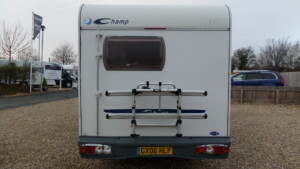 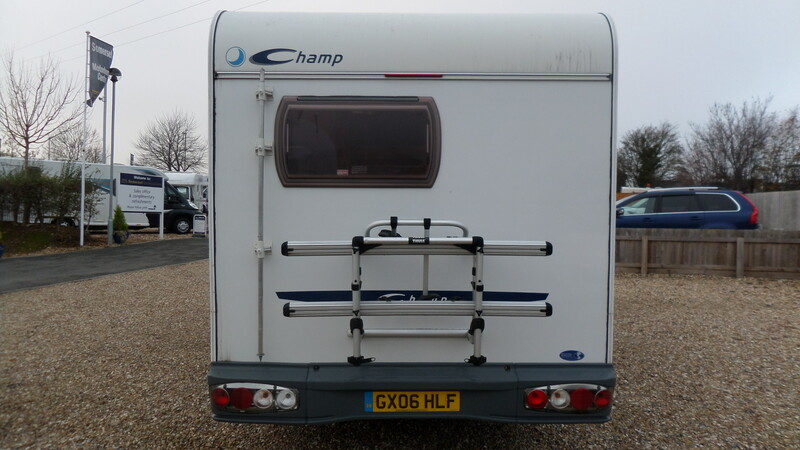 An ideal starter model for all the family or even as a large 2 berth.